What makes Sierra Jack special? Pet owners in NJ, CT, and NY have come to love Sierra Jack's Holistic Pet food because of our excellent product, free home delivery, and dedicated customer service. We start with the highest quality ingredients, and then add 8 groups of sequestered vitamins and trace minerals to make food that maximizes the health and well-being of your pet. Unlike other pet food you’ll find across big box stores, our cooking process maximizes the food's digestibility, deliverable nutrition, and great taste. Plus, our industry-unique free home delivery program provides an incredible freshness that is unattainable with a normal 3-tier distribution system. The end result is one of the best pet foods available, and 10-20% lower than national brands. Our foods are 100% manufactured in the Midwest by a private, family run, AAFCO certified facility. All of our ingredients are sourced here in the United States, except for the free-range, grass fed lamb that is imported from New Zealand. As a result, Sierra Jack Petfoods have had no products recalled in our history. Last year, there were over 160 companies whose pet foods were recalled, and most of those were name brands. Most are also owned by large corporations where reducing costs has become a corporate mantra. It turns out they had found a way to reduce costs by adding wheat gluten, corn gluten, and/or rice protein concentrates to their foods. These ingredients, which were being sourced from China, had somehow been tainted with melamine, a compound used in the production of plastics. Interestingly melamine substantially enhanced the ability of these additives to raise the measurable (not the usable) protein level in a pet food. Sadly, the melamine, apparently in combination with another ingredient was toxic to the pets that were eating it. Sierra Jack does not - nor will we ever - use these types of fillers in our foods. We feel they should not be in any pet food. Is the food 'human grade'? We use only human grade quality ingredients. What are the benefits to feeding a pet top quality dog food? There have been many instances where proper nutrition in the early life of a dog, has been used to minimize or eliminate health problems later in life. An example would be the work Eagle Pack has done to solve the Rickets problem with Great Danes and Hip Dysplasia in German Shepherds. 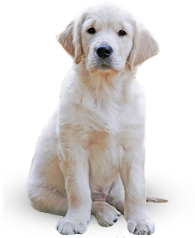 With Labradors and particularly Weimeraners also they now believe that specific levels of phosphorous in the food, and a specific range of protein fed in the first year or life can prevent the typical arthritis problems these breeds experience later in life. You might Google these problems or Eagle Pack or The Great Dane Lady to get more information. Good foods like ours are supplemented to maximize and maintain the good health of our pets with many healthy ingredients such as Glucosamine for joint and bone health as well as Prebiotics and Probiotics. These are live bacteria strains similar to what is in Activia Yogurt that enhance a dog's digestive system and the immune functions. What does 'holistic' mean when it comes to dog food and why is it important? It refers to food which is developed with the overall integrated long term health of the pet in mind. Our formulas effectively support totally nutritional needs. Is there cat food available too? We have two high quality cat foods available - one is a high protein Cat/Kitten formula and another lower fat version for the more sedentary indoor cat. Why do your customers like this food for their pets? Our loyal customers in NJ and NY know they can provide no better food for their pets than ours, and they appreciate the convenience of free home delivery. Plus, we are able to bring them quality food at prices 10-20% below what a comparable item would cost elsewhere! Sierra Jack Petfoods began in CT in 2001, and has expanded through NYC, Long Island, and NJ. We always provide FREE delivery to those who live near our distribution centers. We proudly have about 5000 dogs and cats that have been thriving on our foods for many years.